Farming Minister George Eustice said he was confident the Government’s White Paper and soon-to-be published Agriculture Bill would bring certainty to farm businesses over Brexit trading arrangements. Speaking at the Great Yorkshire Show (GYS) in Harrogate on Thursday (July 12) Mr Eustice said the long-awaited White Paper clarified the Government’s intention to ensure trade co-operation between the UK and the EU – something the farming unions have described as critical for the country’s farming industry. “I think the offer we have made is a resolution and will allow us to offer tariff free trade, and frictionless trade at the borders is one that the European Union, if they have any sense, will take up,” Mr Eustice said. Highlighting the fact there was still a long way to go in negotiations, with nothing yet agreed by the EU, he added: “There will always be some uncertainties because a lot of it is not in our gift. A lot of it is down to the type of agreement we will get with the EU and a lot of it will depend on what European states decide what they want. The Minister was also cornered by York farmer and GYS show director Charles Mills, who challenged him to ‘give farmers some assurances’ on Brexit. Asked to comment on the recent NFU’s business confidence survey which showed producers’ confidence plummeted when looking towards life after Brexit and the fact some farmers were already packing up farming, Mr Eustice said: “Each individual business must make the decisions that they think are right for them. “We have said we will guarantee the budget until 2022, that if we make changes to the Single Farm Payment it will be done gradually, probably over at least five years. There will be no drastic changes. We have been clear about the trading relationship we are seeking. Environment Secretary Michael Gove had originally said the Agriculture Bill would appear before Parliament this month, but Mr Eustice said this was a ‘stretching target’ and this had been pushed back. 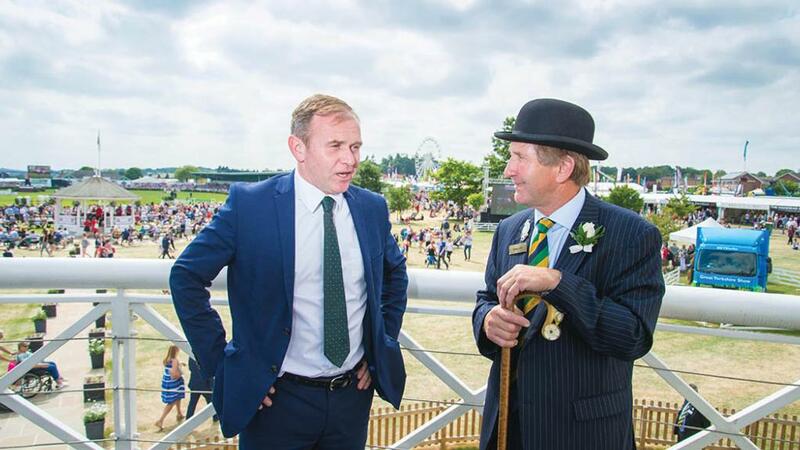 On Defra’s proposed new inspection regime, Mr Eustice said simplifying the farm regulation landscape could involve bringing in a new inspection body which carries out a range of inspections from animal welfare to environmental outcomes. He said the EU had brought with it a complicated rulebook, describing the current approach to regulation being ‘scattergun’ and ‘leaving gaps’. More on the Government’s interim report on farm inspections here.